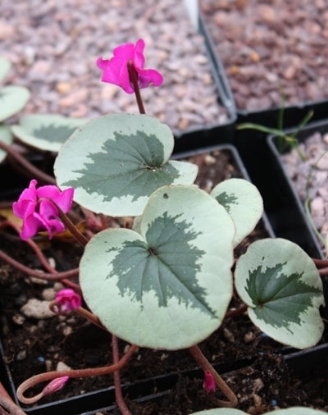 Usually pink, sometimes white flowers 1" tall with darker, ruffled-like base. 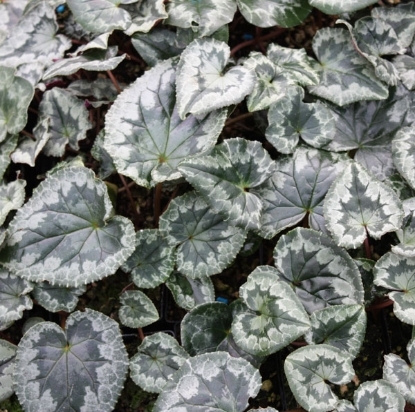 Very attractive, silver foliage from late fall thru spring. For well drained soil. 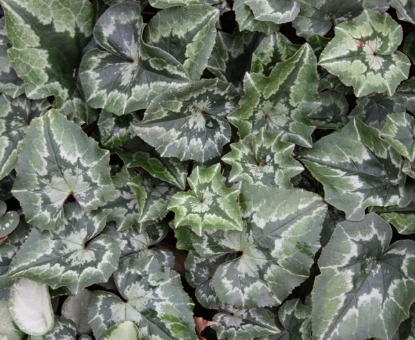 Great for planting under trees and shrubs where they naturalize. 2 3/8" square - 3 3/4" deep pots.